A friend of mine recently moved to Plano from Brooklyn and was immediately stumped about one thing: where to find other people his age. It was only when he asked that I realized I didn’t know. I know they’re here. But where do they congregate? What are they doing? Perhaps many millennials are roller skating. I have no concrete data to support this claim, except that twice in two days, two of my peers have told me that they’d like to spend more time roller skating, and for the life of me, I can’t figure out why. As every city grows, it must learn to attract young people: currently Gen X, millennials and soon, Gen Z. If they don’t, then eventually, they’ll stop growing and start declining. Collin County is mid-boom. We’re sitting pretty with big-name headquarters like Toyota North America, Liberty Mutual and PGA. The suburbs of Dallas now have their own suburbs. Young people–even ones like me who swore we wouldn’t come back–are here. So what kind of lives can we lead here? A lot of them, frankly, are actually in Dallas instead. As Texas Tribune puts it, the neighborhoods around downtown Dallas are “hotbeds” for millennials who by and large have shown a preference for walkable cities and bikeshares, ride-sharing and light-rail trains over owning cars: urban living. Many don’t yet have the savings or need for a single-family home, so they gravitate toward apartments in urban hubs that offer a premium amount of culture in a small amount of space. Dallas has bars, speakeasies (i.e. nightlife), trendy workouts like ax throwing, bike-share programs, arts and culture, Deep Ellum and Bishop Arts. All of that, even the ax throwing, is attractive to a young, single professional. Collin County was originally made of small farm towns that grew into suburbs. People around here have always driven to work in Dallas, and spent their nights out there too. They’ve taken day trips for the State Fair, the aquarium and the museums, the restaurants, the opera. That’s always been the status quo. Today, Collin County has fresh, mixed-use hubs like Frisco Square and Main Street, Heritage Crossing, downtown McKinney, Legacy, downtown Plano, Watters Creek and CityLine. These sleek, high end developments were built with young, successful professionals in mind. 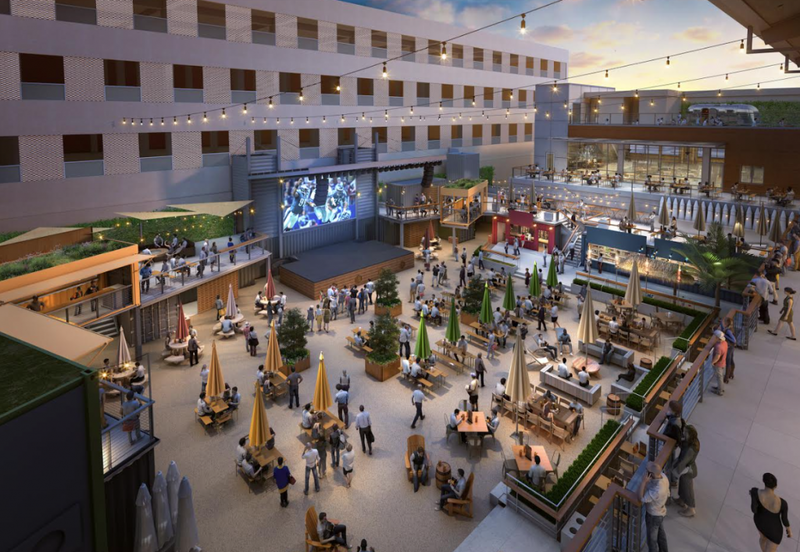 They offer a high level of luxury living, places for business lunches and proposal dinners, name-brand shopping and outposts of popular Dallas stores. However, most people my age can’t actually afford all that high-end living. The attitude is different there. Just look at Legacy West. While beautiful, it doesn’t have the same personality of a Deep Ellum or a Design District, nor does it garner the same steadfast loyalty in its residents. Perhaps it’s because areas like CityLine and Legacy West, and even, to a point, downtowns Plano and McKinney, were revitalized by cities and developers, as opposed to the artists and culture-makers who discovered and popularized these Dallas neighborhoods. It could be my own bias, as a kid who grew up in these suburbs, but most of the entertainment I know about is for families. But for young singles or couple who don’t have kids, what is there for us? The easy answer is: not much. Sorry. Today, Collin County has more fun than ever before for young adults and it’s still just not much. We have some trendy workouts–aerial yoga, OrangeTheory, paddle boarding at Lake Lewisville. We have breweries, TUPPS, Union Bear and Unlawful Assembly. We even have Drag Bingo. But while our mixed-use developments do exist and are certainly worth a visit, they offer less community at a higher price. We still don’t have “usual places,” the sort of dives and hidden gems that attract the casual, everyday kind of regulars. I’ve found many young adults at the Box Garden at Legacy Hall, which offers great food and mediocre music. People of all ages flock to the artisan coffee shops now scattered among the Starbucks. Downtown McKinney is charming and has everything for everyone. There’s disc golf and PINSTACK. Maybe people still go to Top Golf. Joints like Cadillac Pizza Pub offer lowkey live music. I’ve heard Lava Cantina has some pretty cool shows, but I’ve never been. As for vibrant nightlife, all we have is VNYL is a lone nightclub in a sea of steakhouses, boutiques and lowkey pubs that attracts more middle-aged patrons than millennials. Boba tea and Asian dessert shops thrive late into the night. If millennials are in Collin County on a Friday night, they might be there. Otherwise, they’re in Dallas, or Addison, or at home, saving their money. Walkable culture, amenities and community. That, according to most of the data, seems to be what we youngsters want. That’s perhaps the point my Brooklyn friend was driving at: not just where do millennials sleep and park their cars, but where can they go to plug into a community of like-minded people in Collin County? There’s some of that, but from what I can tell, there still isn’t much. There certainly isn’t enough. So, despite my ruminations and personal experience, I’m still wondering: where else could we be hiding? Seriously. On a Saturday night, where in Collin County are the millennials? More importantly, where could we be? Asking, no joke, for a friend.